OCD Awareness Week 2015 – Does Treatment Help? This week is OCD Awareness Week (#OCDWeek ) Many people with and without OCD wonder whether OCD is treatable The answer is that there are very effective treatments available for OCD. Children, teens, and adults alike may feel hesitant to begin treatment for their OCD. I often think that there is no better way to face one’s own challenges than to hear about how someone else faced theirs. With that, I must share a blog post I read this morning. This post is by 16-year-old Ellen, a teen who has worked hard, not only to challenge her own OCD, but to raise awareness around the globe. She is an inspiration. The 21st Annual OCD Conference is Almost Here! The 21st annual OCD Conference, presented by the International OCD Foundation, begins this Friday in Los Angeles. This extremely valuable conference is an excellent resource for individuals with OCD, their family, friends, therapists, researchers, and anyone who has any interest in OCD at all. What makes this conference so special is that professionals, people with OCD, and others from the general public all intermingle and share information and perspectives. A person who has experienced OCD has as much to offer as a professional who is doing research and treatment. 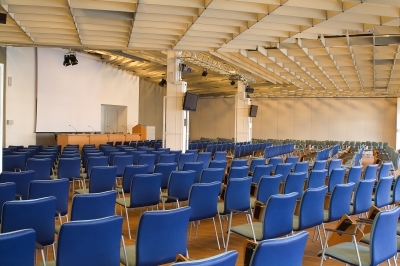 People who attend the conference generally take note of the inviting atmosphere and the ease of interacting with individuals from all different backgrounds. This week (October 14-20, 2013) is International OCD Awareness Week. Since promoting OCD awareness is a particular passion of mine, of course I’d like to seize on the opportunity to do a little educating. Just what is OCD? How does it present? Is it treatable? Let’s start with a little background about how many people have OCD. It is generally thought that 1 in 100 adults has OCD and 1 in 200 children. That’s 4-5 children in the average elementary school, and about 20 in a medium-sized high school. Sadly, though, OCD is often under-recognized. The International OCD Foundation notes that it often takes between 14 and 17 years from the first onset of symptoms until a person gets access to effective treatment. Awareness of what OCD is can help to change that. Simply put, OCD involves obsessions and compulsions. Obsessions are intrusive, recurring thoughts that are unwanted by the individual. They are associated with uncomfortable feelings and they interfere with important, valued activities. Compulsions are behaviors or mental actions a person engages in to try to feel better or to make the obsessions go away. Avoidance of things or situations that trigger obsessions can also be a compulsion. Compulsions only provide temporary relief. Common obsessions include fear of being contaminated, fear of causing harm to others, fear of losing control and fear of committing a moral offense. Common compulsions include excessive washing and cleaning, constant checking that nothing was done to harm others or that no mistake was made, mentally reviewing events, repeating movements or activities until they are “just right,” seeking reassurance and confessing. OCD can be extremely agonizing for those suffering from it – and for those who care about them. It can result in lost productivity, lost opportunities and general misery. There are, however, effective treatments that exist. 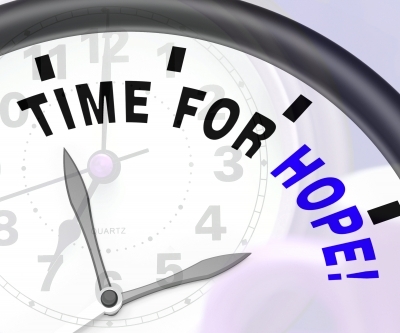 According to the International OCD Foundation, the key elements of treatment for most people with OCD are “one or more of the following: a properly trained therapist, Cognitive Behavior Therapy and medicine.” The Cognitive Behavior Therapy that has demonstrated the most effectiveness for OCD is called Exposure and Response Prevention. It basically involves confronting the thoughts, situations, etc. that make the person anxious and then making a choice not to engage in compulsions. While this may sound a little unnerving, the end effect is that the person learns to tolerate uncomfortable feelings and learns that they naturally lessen on their own. There is no need for people to suffer with OCD symptoms in silence. Education and treatment can provide the way to a more fulfilling and more productive life. For more information about OCD, its symptoms and its treatment, visit the website for the International OCD Foundation or for the Anxiety and Depression Association of America. “That sign is an OCD sufferer’s nightmare,” I commented. Indeed, one of the hallmarks of Obsessive-Compulsive Disorder (OCD) is intrusive thoughts and images. They are unwanted by the person, they cause distress and they won’t go away. What’s more, they play themselves over and over in the person’s head. It is these thoughts that make up the “Obsessive” part of OCD. These are the words that many OCD sufferers hear from their well-meaning friends and loved ones – that is, if they are courageous enough to actually share that they are having unwanted, intrusive thoughts. In fact, most people with OCD will tell you that they already have tried to stop thinking about it. They may have put great effort into trying to make the offending thoughts and images go away. So often, though, it seems that the harder they try, the stronger the thoughts. How can this be? Well, the sign I spoke of above is a good illustration of why it is difficult (if not impossible) to just stop thinking about something. 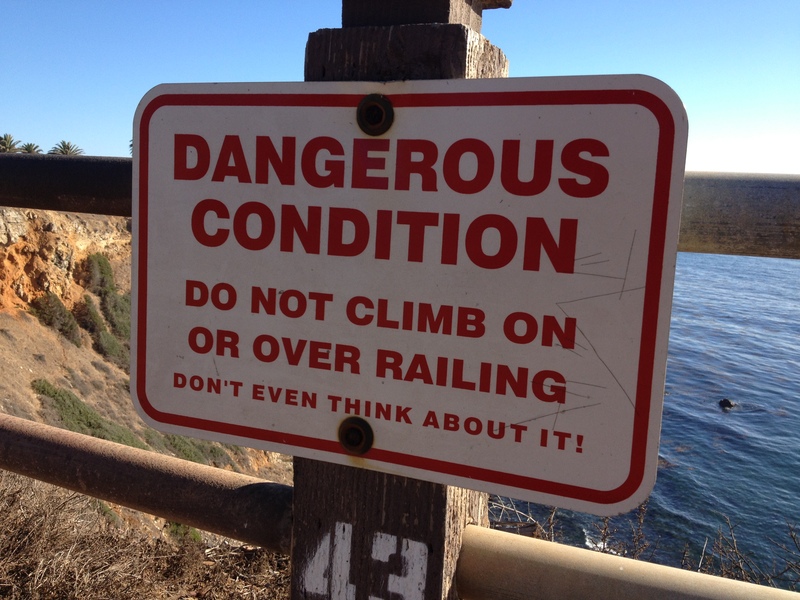 Imagine it is you walking along the railing and the sign warns you, “DANGEROUS CONDITION. DO NOT CLIMB ON OR OVER RAILING. DON’T EVEN THINK ABOUT IT!” Now, try it. Don’t even think about climbing over the railing. Whatever you do, do not think about climbing on or over the railing. You’re not thinking about it, right? Do not think about climbing over or on the railing! If you had images in your head of climbing on or over a railing, you are not alone. Our mind works so that when we struggle to try NOT to think about something, we tend to only think about it more. I will sometimes challenge people in my practice not to think about a white rabbit. Usually, they immediately begin to smile. That’s because they get it. That white rabbit popped into their head as soon as I said anything about it – and they realize the futility of trying to not think about it. So, why can’t the person with OCD just stop thinking about an unwanted thought or image? Because our minds just do not work that way. It seems that we may do better if we simply do not try to fight away those unwanted thoughts, and instead go with them. We may just find that, when we do not fight with those thoughts, they begin to fade away on their own. If someone in your life is strugging with OCD, remember that they cannot simply stop thinking about their intrusive thoughts and make them go away. There is, however, real help for managing these thoughts. Your support and understanding about how very difficult it is to get unwanted thoughts out of their head may be that person’s first step toward getting help and moving in a positive direction.